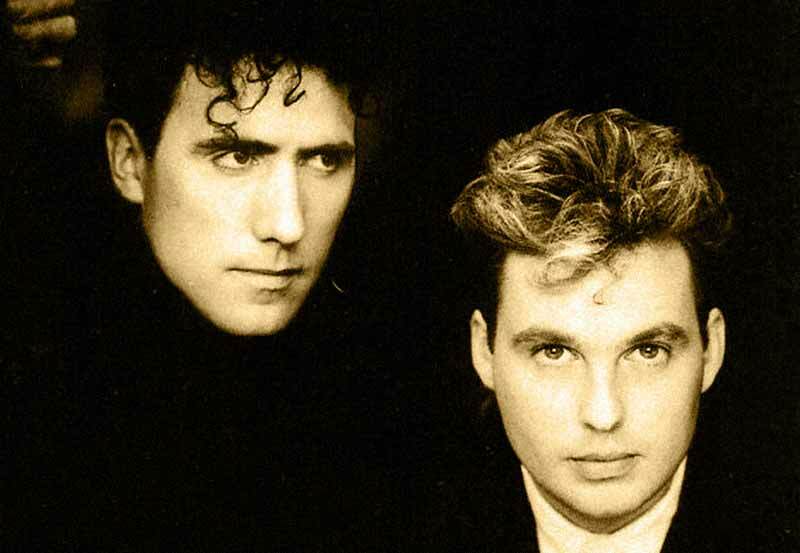 Orchestral Manoeuvres in the Dark (OMD) are a British new wave group formed in 1978, whose founding members, Andy McCluskey (vocals, bass guitar) and Paul Humphreys (keyboards, vocals), are originally from Wirral, England. While steadily eschewing pop star status, the band cultivated a fanbase in the United Kingdom from 1978–1980. They gained popularity throughout Europe with successful 1980 single “Enola Gay. The group was founded in 1978 by Andy McCluskey and Paul Humphreys who remain, and were perceived as, the core members. 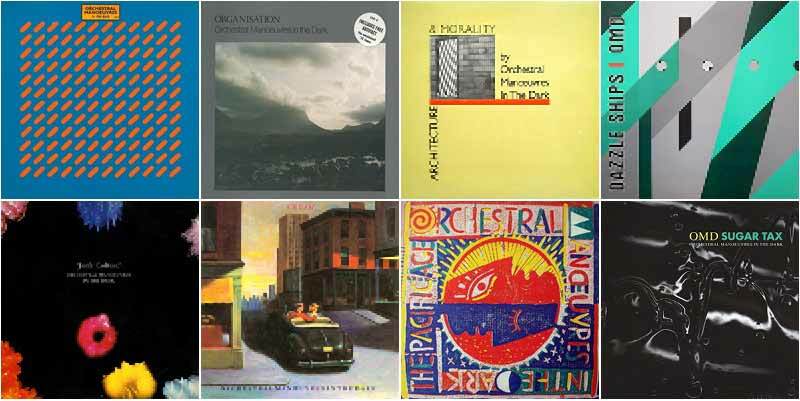 Adding sidemen Malcolm Holmes and Martin Cooper by the end of 1980, this quartet (with occasional line-up fluctuations) was the live concert line-up until 1989, when Humphreys, Cooper and Holmes all left OMD to found The Listening Pool. McCluskey then retained the OMD name and continued to record and tour as OMD with new line-ups until 1996. The name was taken from the title of a song idea thought up by McCluskey while still at school. First album (1980) showcased the Orchestral Manoeuvres in the Dark’s live set at the time, and was basically recorded by the Humphreys/McCluskey duo, although included some guest drums from Malcolm Holmes, and saxophone from Wirral musician Martin Cooper. It had a simple, raw, poppy, melodic synthpop sound. Dindisc arranged for the song “Messages” to be re-recorded (produced by Gong bassist Mike Howlett) and released as a single – this gave the band their first hit. The second album Organisation followed later that year, recorded as a three-piece with Humphreys, McCluskey and Holmes. The album spawned the hit single “Enola Gay”, named after the plane that dropped an atomic bomb on Hiroshima. The song was intended to be included on the debut album, but was left out at the final selection, which may explain why the song is somewhat at odds with the darker feel of the second album. The song also became OMD’s biggest hit to date. In November 1981, their most commercially successful album – Architecture & Morality – was released in the UK and Europe. The album’s sound saw OMD’s original synth-pop sound augmented by the Mellotron, an instrument previously associated with prog rock bands. They used it to add very atmospheric swatches of string, choir and other sounds to their palette. Two more hit singles “Joan of Arc” and “Maid of Orleans” were taken from the album, which sold more than 4 million copies. “Joan of Arc” and “Maid of Orleans” were originally both titled “Joan of Arc”; the name of the latter single was changed at the insistence of the publishers and to avoid confusion. It became “Joan of Arc (Maid of Orleans)” and later simply “Maid of Orleans”. In 1983 the band lost commercial momentum somewhat, with the release of their more experimental Dazzle Ships album, which mixed melancholy synth ballads and uptempo synthpop with musique concrète and short wave radio tape collages. 1984’s “Junk Culture! was a return to a poppier sound and the band used digital sampling keyboards. The album was a success, reassuring the group about their new direction. The “Locomotion” single returned the group to the top five in the UK and was a good indicator of the group’s new found sound. In 1985, the band expanded to a sextet, featuring new band members Graham Weir (guitar, keyboards, trombone) and Neil Weir (trumpet, bass guitar), and released “Crush” album, produced by Stephen Hague (that later worked for instance with Pet Shop Boys, New Order, Melanie C, Peter Gabriel and Erasure, producing the hits “West End Girls”, “True Faith”, “Regret”, “Star” and “A Little Respect.”) The success of the single “So in Love” in the US Hot 100 also led to some success for the LP which entered the American Top 40. Later in 1985 the band was asked to write a song for Pretty in Pink movie. They selected “Goddess of Love”. 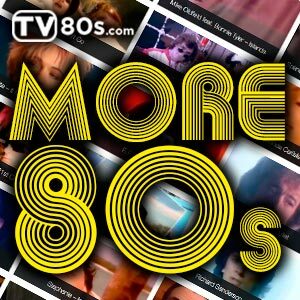 After the song received a negative reaction from test groups OMD wrote “If You Leave” in less than 24 hours and it became a huge hit in Australia, the US and Canada. The same line-up also released The Pacific Age in 1986. The Pacific Age contained the UK No. 11 hit single, “(Forever) Live & Die” and other single releases, “Shame” and “We Love You”. During 1988 the band appeared poised to consolidate their US success, with a support slot for Depeche Mode‘s 101 tour at the Rose Bowl in Pasadena, California, a top 20 US hit with “Dreaming” and a successful “Best of” album.